Is there anything better than a food blog? The recipes, the pictures. Oh, the pictures. If done right, there is nothing more enticing than a well photographed plate of food (am I alone here?). Copenhagen’s recent renaissance of gourmet food has also brought about an influx of talented food writers, all with their own particular angle. 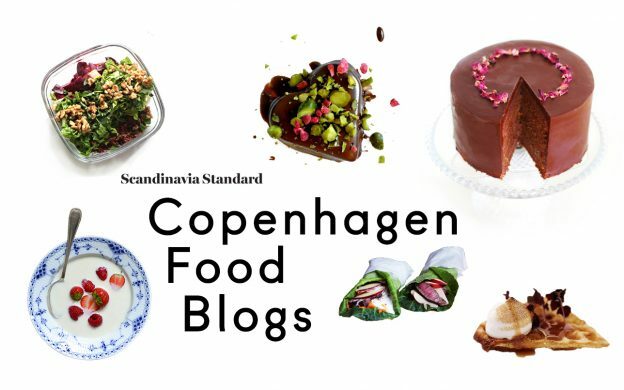 This Scandi Six covers the food bloggers that we go to daily for dinner (and dessert!) inspiration. Note: Some of these blogs are in Danish. You can break out your best dictionary, Google Translate the whole thing, or use it as a opportunity to practice! Or you can just stare longingly at the pictures, whatever works. A Certified Nutritional Practioner, blogger Sarah Britton has been sharing recipes and holistic nutrition tips since 2007. Her passion for healthy, mindful living along with stunning photos will change the way you view healthy eating. A self-proclaimed “chocoholic,” Anne Moltke Hansen delivers sweet recipes with a gourmet twist. Her recently released cookbook, “Lykken er Chocolade” (Happiness is Chocolate) is a must-read for chocolate lovers! A popular baking blog run by Cecilia Fahlström, CopenhagenCakes combines easy to medium-difficulty baking with interesting flavor profiles and gorgeous pictures. Although the recipes are in Danish, they’re worth translating! Available in both English and Danish (English in link above), FoodMad offers restaurant reviews, recipes and an overview of Danish food culture, mixing the basic with the luxurious. It’s all there in the title. Sofie Bentzen’s blog combines healthy eating recipes and advice with training tips. It’s straightforward and packed with good, tasty information. This blog’s tagline, “addictive recipes with a Nordic twist” sums it up pretty well. Written by Josephine Malene Kofod, the posts are focused on seasonal and organic foods. Want to create your own food blog? Check out our brief but complete guide on how to easily and quickly create a beautiful, minimalist website. March 20, 2014 by Rebecca Thandi Norman & Freya August McOmish.